The first experimental model of the F-86 "Sabre" flew in October, 1947, and in April, 1948 it became the American Fighter to break the sound barrier. The "Sabre" proved invaluable during the Korean conflict and gained a 4 to 1 kill ratio over the Soviet built MiG 15. Many military pilots feel the F-86 was the last jet fighter that was a pilot's airplane. Subsequent jet fighter productions were more highly computerized. 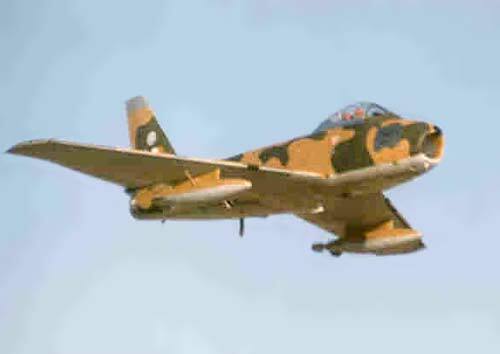 This aircraft served in the South African Air Force.